Esicar’s, established in 1934, was just down the road from where I grew up, but I’m not sure I was ever in the place. It’s not that I don’t like country ham – I love it – it’s that Dad always thought their hams were dry, and he never shopped there. He must have been in the minority, because the Esicar’s was in business for 73 years, before selling out in 2007. The store is open under new management, but I still haven’t been in it. I guess I should give them a shot the next time I’m in Cape. Maybe Dad just got a bad one. 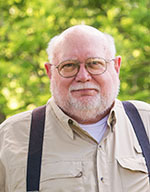 I worked at the post office during my freshman year at SEMO, and can attest to the amount of bacon and number of hams and summer sausages Esicar’s shipped, at least during 1966-67. Sorting their daily shipments was a delight. No airtight shrink wrapping then. Everything was wrapped in paper, which allowed the mouthwatering aroma of the smoked meats to permeate the sorting area. Forty-five years later, my memories are as fresh as the day they were created. We love their bacon. Any time we are in Cape Girardeau, we buy a pound or two. AND… we have to get a pig’s ear for the dog! I live in Sun City,AZ we have their bacon ship to us every year. It’s always good, so is their summer sausage. Would go there as a kid grewing up in Cape,the smell of the smoke meats was always great. As a customer of a Cape Girardeau native and recipient of MO sausage for many years. He now informs us that faux Esicars suffered a fire several days ago. I and my staff are concerned about our Christmas breakfasts. We well rember 2007s disappointment. Can anyone confirm the future plans? Guess you know what you’re bringing for me on the next trip home…the Alabama smokehouse I buy sausage and bacon from are probably not going to produce much this year. Course, if Cape floods, I might not get it there either, eh? Jan… They ship anywhere. No need to wait. Hit the Eiscar’s Old Hickory Smokehouse web site, see their products and place an order. Their web site also has some pictures of the shop and the employees back in the day. They’re located just down the road from my Mother’s house. If that part of Cape floods, you’ll have water over your house in Florida. I agree with Debra, best bacon in the world ! Mom would always send us back with 5 pounds and we were sad when we heard it closed. Is the new owner have the same great products? I thought the fire was relatively minor and that they opened quickly, but I was wrong. This Missourian story from Mar. 7, 2011, says an accidental electrical fire caused $300,000 in damage. I grew up in Cape and later lived in Memphis, TN, where I worked with a delightful elderly gentleman named Clyde. He used to make occasional trips to St. Louis and delighted at stopping at “Essy-car’s,” as he called it, en route. He especially loved their mincemeat. My husband Don’s family has made trips to Esicar’s for the 47 years I have known them. In the 40 years Don and I have lived away from CG, his family has sent us wonderful gift packages from Esicars! Blake your friendship remains. Living in Texas, we have ordered Esicar’s “Hillbilly Hams” and bacon for many customer events (taking their Christmas supply in 1998, sorry). We always have a supply of Esicar’s bacon or hill billyhams in our freezer and look forward to them for Saturday breakfast. Dad used to buy quite a few hams and summer sausages at a time there each fall. He hung them in one side of the attic at our old house. I can remember seeing them hanging in rows under the eves when I peeked into that area. Ah, the aroma! Mother would just go upstairs when she needed another. Ham for breakfast. Sausage sandwiches many days for work. He made special trips for their bacon sometimes when he was picking me up after school. Glad to know they are open again. I know where I will head when I’m home this summer. 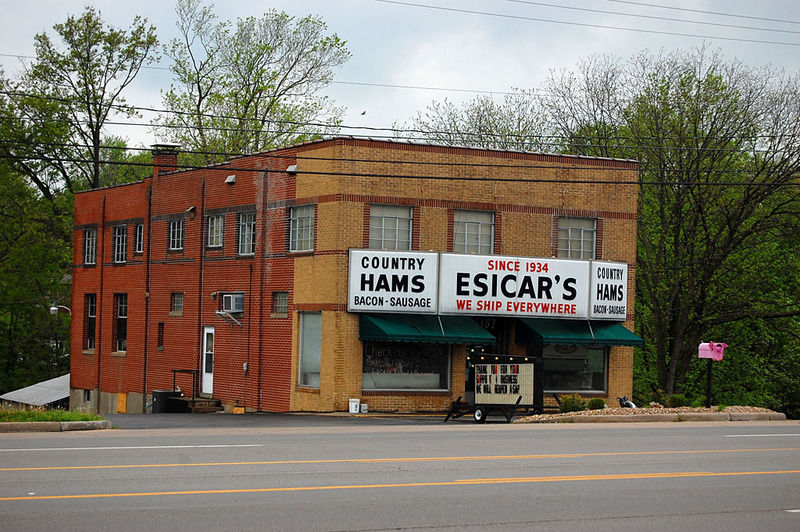 Didn’t Esicar’s originally have a grocery store on Broadway close to the Missourian building? Our family lived at 224 N. Lorimier and I can remember in the mid to late 40’s going to this store to get a cold bottle of “soda” in the summer – they had strawberry, grape, orange,etc. but the cream-flavor was my favorite – anyone else remember this store?? Click on the link that Backyardavore left. 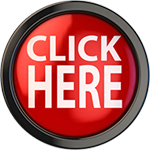 You might have to press Ctrl-F5 to refresh your browser to see it. It’ll take you to Esicar’s website. Go to the About Us section and it’ll tell you some of their background. It also has old photos. I lived almost behind Esicr’s. Our Dad drove a truck and was out of town every once in a while. Our Mother would send us up to Esicar’s to get bread, lunch meat and sometimes cigarettes as she smoked. One of the sons’ would always kid us. Flip the change around and have us to guess which hand it was under. sometimes he would say if we get bread and cigerettes at the same time that that would make a hell of a sandwich. I would think at times that I would get back at him. Several years I was working in a supermarket in the produce department. On Sat. night it was my job to clean the produce case. I would scrub it down with comet cleanser and then take the sprayer off the end of the hose that was on the retractable reel. With the slick cleanser on my hands the hose got away from me and just shot water every which way. As I tried to grab it and turned around, who was standing there. One of the Esicar boys with a big wet streak down the front of his shirt, asking if I furnished towels with my shower. About all I could think of was, I finally got you. Yes, Esicars started out with a store on Broadway about where it went down hill to the river,I was in school at old Central on Pacific with a couple of the Esicars. Oops, it looks like I did a duplicate, too. Sorry ’bout that. Would it be possible for you to send me your posting about Capaha Park which appeared in the last week or so? There is one photo of the park which shows the house I grew up in at 1251 Normal. I’d like to pass this along to my kids as 2 of them haven’t seen it. I loved the park and played a lot of football, Indian Ball, Babe Ruth League etc. growing up. Sorry to take awhile to get back with you. I got distracted and forgot about your question. The long answer, which I guess I should point out from time to time, is that searching this site is easy. There’s a little search box on the top, right-hand side. To find the story you were looking for, I typed Capaha in the box, then pressed ENTER. This story about Capaha Field was the first one to pop up. Hope that’s what you were looking for. If you REALLY want to go back in time, I bet your house shows in these aerials from the early or middle 1960s. This is Dennis. When I was at Central, my parents lived on David St. near Esicar’s. My Father drove a truck for Potashnick and was somewhere in the mountains of Virginia and decide to buy a true Virginia smoked ham at a small country store. They wrapped it up and he had it in the passenger’s seat all the way home. At home he unwrapped it and…..it was from Esicar’s! Every year at Christmastime we have an Esicar moment. For at least the past 35 years, first Mom and now our dad sends Esicar’s sausage to each of the six Lamkin kids for Christmas morning breakfast in our respective homes throughout the country. This tradition is a link (pun intended) between our families and the place we each call home. We live in different places, but we are of Cape Girardeau. I send greetings to Blake and Jan for all of the fine feasts we’ve had over the years going back to dad Richard. The Esicar family did itself proud.